I found the The Yolk Folk Printable Kit. 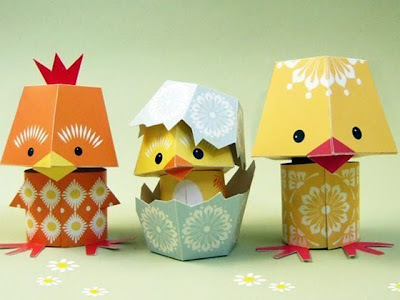 Each chick takes 5-10 minutes to make. You can get them here.